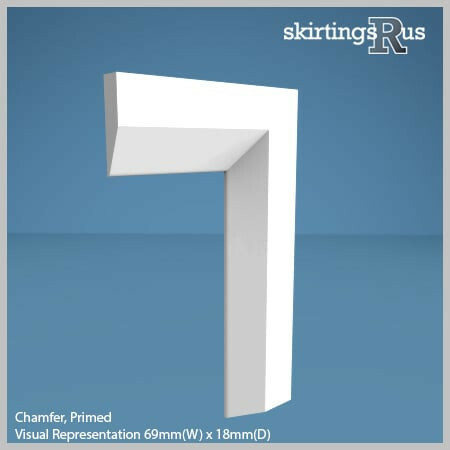 Chamfer is a very popular profile with the trade, and is considered a standard architrave within the UK construction industry. 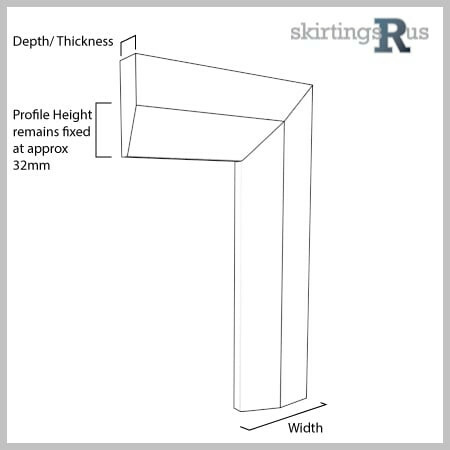 Compared to our Angle shape, chamfered architraves bevel the top edge to a more obtuse degree, creating a larger angled face. 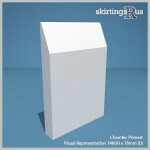 Chamfer features a rounded top to soften its appearance. Since it is relatively simple, Chamfer architrave will fit well into most interiors. Our Chamfer architrave is made of a high density, moisture resistant (MR) MDF. Chamfer MDF Architrave is available in a variety of set dimensions. We can also offer bespoke architrave widths at no extra cost. Width – Chamfer can be machined to 3 widths, 50mm, 69mm and 96mm. Length – Chamfer Architrave can be supplied in either 2.440m, 3.050m or 4.2m lengths (4.2m is unavailable in 15mm thickness). Doubl Door Sets - Consisting of 3 x 2400 lengths. Our Chamfer MDF architrave is produced in house in our midlands based factory and is machined to order from the specification options above. If you can’t see what you’re looking for, then you should know we can cut to any size and undertake bespoke requests. For more information visit our bespoke page or feel free to give us a call!